We craft exclusive architect-designed homes. We're a luxury home builder based in Barwon Heads and Melbourne, and we're passionate about creating exclusive, contemporary homes designed by the country's most exciting architects. Our approach is like no other. With 50 years’ collective expertise in commercial and high-end custom construction, we are dedicated to disrupting the building industry by creating a new market niche - beautiful residential architecture made more accessible. We founded Lifespaces Group to introduce Australians to a brand new concept in home design: offering premium, superbly designed residential architecture that is ready-to-build to the finest detail. Our model offers a significantly shorter build time and a lower cost when compared to a bespoke architectural process from the very same architects. Lifespaces Group commissions leading architects to design a signature series of limited-edition, luxury homes. Each series is distinct and varied - a true reflection of the architect's design ethos. We then handcraft each home exactly as envisioned. To maintain exclusivity, only 10 homes of each design may ever be built. Premium building techniques, modern finishes and quality fittings are integral to each project. A limited-edition Lifespaces Group home truly brings the country's most inspiring residential architecture within reach. Lifespaces Group builds across Melbourne, Mornington, Geelong and the Victorian coastal regions. We're delighted to announce the inaugural Lifespaces range with Auhaus Architecture. 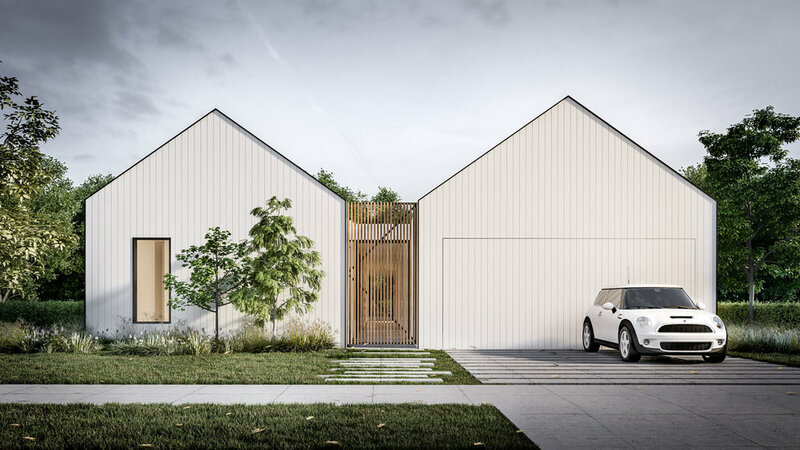 Auhaus Architecture is a renowned Melbourne-based firm with a wide portfolio of innovative projects executed in both Melbourne and the Bellarine Peninsula and Surfcoast region. Founded by Architects Benjamin Stibbard and Kate Fitzpatrick, Auhaus is well-known for its rigorous, engaging design. The result of an incredibly extensive design process, the Auhaus Release features highly crafted spaces, refined finishes, and the flexibility to fit most standard residential blocks. If you have a block in mind and would like to find out how a Lifespaces Group will meet your needs, please get in touch.